Oh boo-hoo…former President Barack Hussein Obama is not happy with President Trump and now for the first time in recent memory we are witnessing a former president verbally attacking a sitting president almost on a daily basis, and in the public venue to boot. Class, honor, and decorum have been pushed aside as Obama tries ever so hard to defend his legacy from what we on the right know is truth…this man’s legacy was and remains the stuff of political, cultural, and oh so traitorous nightmares. And it’s a legacy that defames the very core upon which our Constitutional republic was founded as it not only goes against ‘We the People’s’ right to freedom but shows itself to be a call for socialistic ideals, values, and doctrine…the Democrats version of the New World Order with the “browning of America” written all over it. And Obama’s legacy is playing out at our southern border all courtesy of his weak if not traitorous immigration stance. Basically stating legal immigration no…illegal immigration yes…Obama’s legacy is but a call for Democrat votes…for once given their promised “free stuff” illegals will not bite the hand that feeds, clothes, gives them shelter and medical coverage, plus an education and more…and the only thing asked for in return is their party line vote. And so those in the “caravan”…the new catch phrase of the day…march ever forward carrying not the flag of America which would represent the freedom they supposedly crave, but carrying the flags of their home countries…countries they claim did them harm but actually did not…all while wearing their Nike sneakers, carrying their designer oh so expensive handbags, and talking into cell phones I bet are being paid for by the Democrats. After all, people who claim to be ever so poor could not afford to pay for cell service let alone expensive cell phones themselves…just more “free stuff”…a cell phone for their vote…left over “ObamaPhones” perhaps. And Obama’s legacy regarding immigration has a part two…as in sanctuary cities and states where those who willingly break our immigration laws are rewarded with their own private “safe spaces” with governors and mayors aiding the lawbreakers while figuratively “slapping” the faces of I.C.E. agents just trying to do their jobs. But it’s a legacy Obama is proud of for he’s aiding his puppet-master George Soros’ goal of “browning” America… white folks be damned. And what is the “browning of America” but a demographic and political “shift” to non-whites, who more times than not vote for Democrats, that is just a fact. And this “shift” was first noticed in 2008 when 70% of Hispanic voters voted to make Barack HUSSEIN Obama our country’s supposedly first black president…he’s actually America’s first mixed/biracial president no matter what the folks of the Democrat persuasion say. But now with the majority of Hispanics thinking of themselves as “brown people”…nothing like creating a new racial classification just to flex political muscle…these folks relish in aiding their compatriots in turning America from English-speaking “white” to Spanish-speaking “brown”…with black people being thrown by the wayside…something at this point in time they still refuse to see. And the numbers say it all. Fact, before 1980 the U.S. Census Bureau did not record those of Hispanic origin as a separate category, and yet today that very same U.S. Census Bureau projects that by the year 2045 whites will comprise but 49.9% of the U.S. population, Hispanics will be at 24.6% (the largest minority population), blacks will make up but 13.1% of our population, a full 7.8% will be Asians, and multi-racial persons will number 3.8% of the populations. And when broken down as per birth rates, these figures allude to political change coming even sooner. For example, for those under 18, minorities will outnumber whites in 2020 and for those aged 18-29…those who then will be of voting age..will see that occurring in 2027. 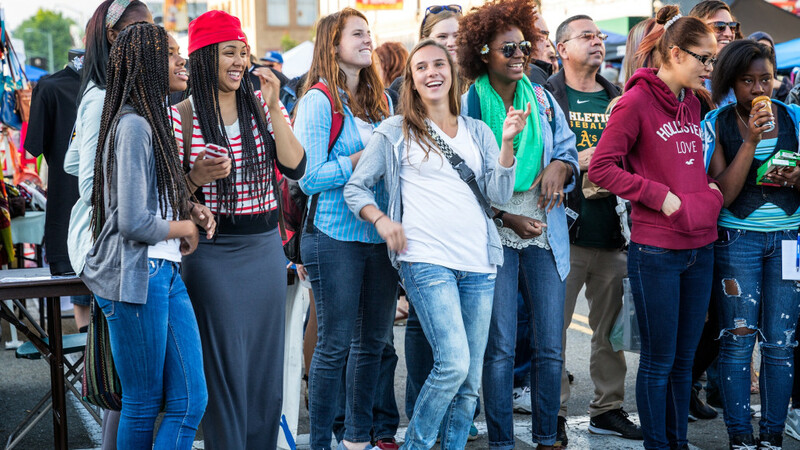 Also notice that America’s black population will increase only slightly by 2045 from what it is now (12.7%), while Hispanics (17.8%) and multi-race (1.9%) populations will see a major increase in their current numbers. And I’m surprised there is no black outrage for if this trend continues black America and black culture could actually in time be lost. And then there’s these unsettling numbers…the white population in America has begun to decline as a whole with metropolitan New York and metropolitan Los Angeles each having lost one million white people since 1990, and with fewer than half the babies born in recent years in the U.S. Census category of “non-Hispanic whites.” And I’m still amazed how those whose “mother tongue” is Spanish suddenly became a race. White America is slowly dying and being white is now something people “of color” think we should be ashamed of…people to be ridiculed and blamed for all America’s woes…as they willingly buy into the lie of “white privilege” while still wishing they were white. And while many of us saw this “brown demographic shift” coming…some of us even tried to warn the clueless masses that it was likely to happen… President Trump alone tried to stop this demographic shift via what some call hard line immigration policies…what I call common sense. And it’s common sense based upon statistics and numbers not upon someone’s racially self-perceived prejudices because if something is not done now the numbers themselves say that in less than two decades America will no will no longer be a majority white nation…will no longer be a country of white-majority voters…as the “browning of America” becomes complete. But know that the phrase the “browning of America” is in and of itself a misnomer for there are but four scientific racial classifications…Caucasian, Negroid, Oriental, and Biracial/mixed race…no “brown race” amongst them. So what does the “browning of America” actually mean…it means that Spanish not English would become America’s main language with Spanish culture replacing the fabric of our red, white, and blue American society. And what would a “brown” America be but an America that shadows the very countries these people came from…poor, illiterate, gang infested, and above all else socialist where everyone but the political hierarchy and the very rich is at the bottom rung of the economic and social ladder. Trump does not want this for our beloved America…and neither do we patriots…yet he knows this scenario is coming unless actions are taken to stop it now. And as I write this article our president is following true on his campaign promise to secure our southern border as can be witnessed by the current shenanigans going on at our California border with Mexico. Late last week 5,000+ strong mostly young men, with but a scattering of women and children, reached Tijuana, Mexico. 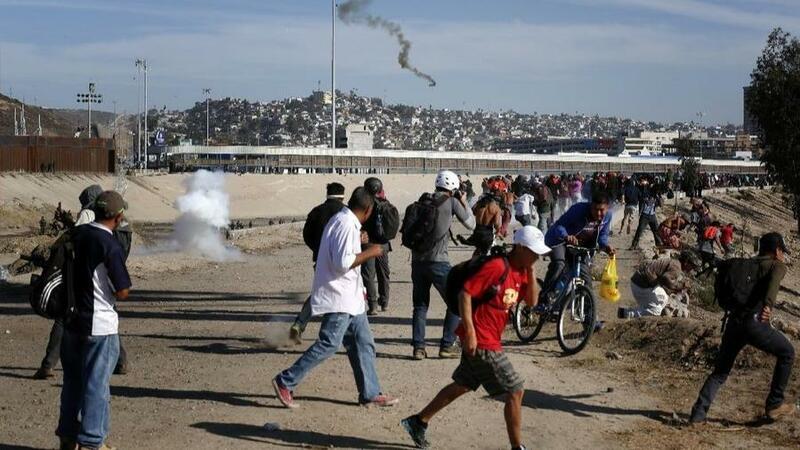 And only after these folks trashed part of his city did Tijuana Mayor Juan Manuel Gastlum declare this onslaught a “humanitarian crisis” as his city tries ever so hard to accommodate the crush of what he calls “migrants”…saying the word “invaders” would be more truthful though. Taxing Tijuana’s social services and turning parts of Tijuana into a third world “shithole”…to truthfully paraphrase President Trump…finally opening up Mayor Gastlum’s eyes to the truth that true refugees don’t act this way…invaders do. 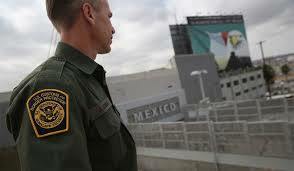 And this past Sunday, only after President Trump ordered our California border with Mexico closed, did hundreds of people…mostly young men…try to “rush” the San Ysidro entry point after pushing hard past a blockade of Mexican police standing guard near the border between our two countries. In fact, U.S. border patrol agents had to shoot pepper bombs and tear gas at these illegals…those who cowardly used women and children as human shields…after they not only tried to climb the fence separating our countries, but after they threw rocks, bottles, and bricks at said border agents…something they probably learned to do from the islamists hiding amongst or even leading them. And while the liberals and bleeding heart sorts are outraged over the teargassing of these illegal law breakers, they seem to forget that their beloved Obama did the same thing back in 2013 when he teargassed illegals entering our country in almost the exact same spot… talk about hypocrisy. So now with President Trump rightfully saying that he will shut down the border with Mexico permanently if need be, where do we go from here until he does so? Do we listen to those in D.C. who have said that they’re working with Mexico on a possible solution…something called “Safe Third.” Current Mexican President Enrique Pena Nieto offered said plan…a plan that amounts to amnesty, housing, and jobs…back in October to some entering his country illegally if they agree to remain in southern Mexico, and 3,000 “caravan” members accepted his offer. But sadly, incoming Mexican President Andrés Manuel López Obrador (December 1st) does not intend for Mexico to become a “Safe Third” country…so much for Mexican sanctuary if you will…best to let America become the world’s dumping ground. Or so the United Nations and the globalists think. And know that it’s the U.N. and its “socialist justice” movement that’s behind the “browning of America,” and therefore behind the problems at our southern border. And when one thinks of the U.N. one simply has to follow the money…“caravans” are expensive you know…which leads back to Obama’s puppet-master George Soros, the man who not only pulls the U.N.’s strings but who spends millions if not billions of dollars through his Open Society Foundation to advance open borders and worldwide illegal migration in order to achieve what’s referred to as a “permanent progressive majority.” Translation: a majority of “brown” folks coupled with a minority of biracial folks…both either willingly open to the doctrine of the New World Order or too ignorant and/or greedy to see that they’re being manipulated by a man who relishes in pitting those of different races and economic classes against each other for he savors in playing the game of political control. 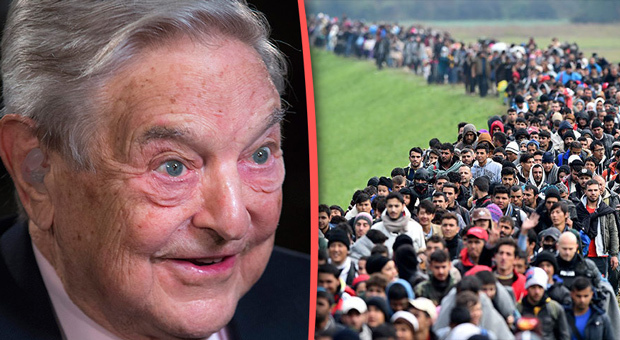 And Soros’ plan for America does start at our southern border…as in flood our country with as many so-called “non-white people” as possible and make those who enter permanently dependent upon government handouts…for like I stated earlier, no one will not bite the hand that gives them “free stuff.” And the payoff is the creating of a growing subsection of the population who will do as they are told…will vote as they are told…for to do otherwise is simply not an option for them. So what do we do to save what’s left of “white America”…and I do not mean those two words in any supremacist sense whatsoever…know first that immigration reform is not the answer because you can reform laws all you want but when the “higher-ups” want to bring people in they will…where there’s a will there’s always a way especially for those of great wealth like infamous America-hating George Soros. So that leaves us with but one option alone…something that should have been done long ago…and it does pain me to say it but we must shoot to kill those who willingly try to enter our country illegally for nowhere in the Constitution does it say we must harbor law breaking sorts. And never forget that Democrats cannot legitimately beat us at the ballot box so the only way to do so is to outnumber us at said box and do so by any means possible. And that folks is how America’s demographics will be changed…simply outnumber us…and it all started with Barack HUSSEIN Obama’s legacy of giving a wink and a nod to those breaching our southern border. 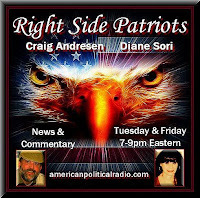 For more political commentary please visit my RIGHT SIDE PATRIOTS partner Craig Andresen’s blog The National Patriot to read his latest article A Martyr to Idiocy. Today, Friday, November 30th from 7 to 9pm EST on American Political Radio, RIGHT SIDE PATRIOTS Craig Andresen and Diane Sori discuss ‘America’s Demographic Shift’; ‘A Martyr to Idiocy’; and important news of the day. Next articleDo You Want To Be Free? Does anybody else see the similarity to the Christian doctrine of original sin? Political correctness is just rehashed religion and, as used by black demagogues, is hypocritical. I am not religious and I do NOT write from a religious perspective. I write from the side of truth only….tangible, factual truth.